Many Mac users turn a blind eye to cybersecurity threats, often noting that most scams and attacks occur on PCs. However, within the last few years, there has been a noted uptick in spyware (a type of software that gathers information about a person or organization without their knowledge), adware (software that automatically displays or downloads advertising material), and potentially unwanted applications (PUAs) on Macs and iOS devices. While Macs are known to have strong security features, they are by no means bullet proof. Webroot Vice President of Engineering David Dufour noted, “Many of these incidents are occurring through exploits in third-party solutions from Adobe, Oracle’s Java and others, providing a mechanism for delivering malicious software and malware.” Even the most internet-savvy users should be sure to install antivirus software on their Mac products. VPN stands for “virtual private network” and is a technology that adds an extra level of privacy and security while online, particularly when using public WiFi networks, which are often less secure. This recent Refinery29 article illustrates the benefits of VPNs for your work and personal life. You may be tempted to ignore messages about updating your browsers, but the minute an update is available, you should download and install it. This is good advice for all software being run on any devices—desktop, laptop, or mobile. Be sure to regularly backup your computer and iOS devices so you can easily retrieve your data in case you get locked out of your device. Instead of using a four-digit code on your iOS devices, use a combination of numbers and letters. We’ve all been there: Apple releases a new iOS update and everyone is going ham. Pretty soon you have a few dozen employees leveraging the internet to get their latest fix. These updates aren’t small, and the impact they will have for all the other users isn’t small either. How do we allow users to update their devices without dragging the corporate network down? By using a caching service. 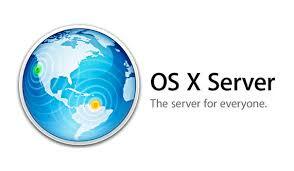 Store all of your updates and apps, IOS or Mac, on a local server and serve it up internally. All Apple devices are built to search for a local server with the ‘Caching Service’ enabled before stepping outside the network. A device will only need to download from apple once before the caching service makes it available, locally, to all other requesters. No need to sweat the next iOS update.